What are good thank you gifts for church visitors? How often should we contact visitors after their first visit? How do we get church visitor contact information in order to follow up? How do we follow up on the anonymous church visitor? How often should we have a visitor reception to get to know our church visitors? What is the best connection tool to help visitors become members? Another question I’ve received is related to the data management side of handling visitor contact information. 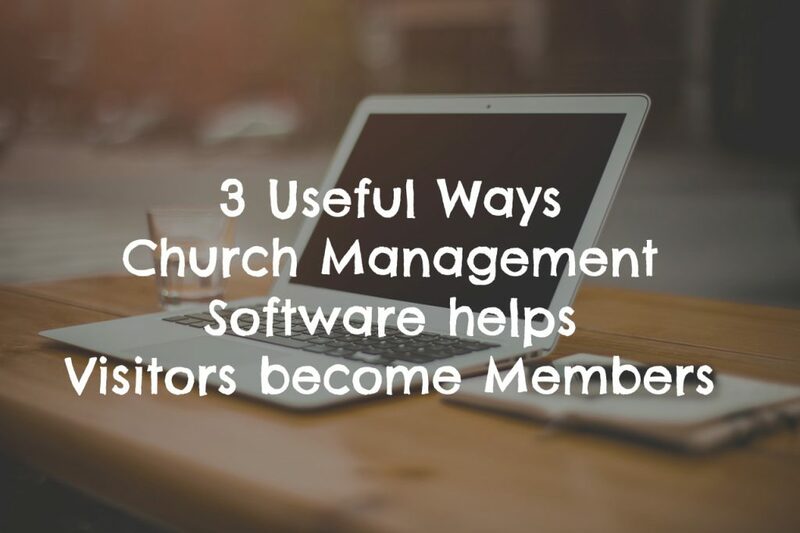 How can church management software help our visitors become new members? Today’s guest post answers that question. It is from Leah Merrill, Software Analyst for Capterra, where she specializes in helping church administrators find church management software. Getting guests to stick around is a big deal. If you’re like most churches, you have a few guests each week who come to your church looking for something new, somewhere closer to home or, sometimes, an entirely new life. It’s always exciting to see a new face return for the next two weeks or maybe three. But with so much to take care of in the church office, guests are often forgotten. How can you get visitors to become active members? Software may sound like an odd answer, but it can be more helpful than you think. Though church management software (ChMS) can’t provide a smiling face to greet your guest on Sunday morning, it can go a long way in helping you convert guests into members. Studies from Grey Matter showed that 1.6 million American non-churchgoers visited a church’s website in the past 30 days, and almost half of them visited to check service schedules (likely to plan a visit). With numbers like these, you can’t afford not to display your church’s services in a clear and helpful way on your site. Many Church Management Software products come with the ability to create and edit websites, which are often integrated with a member database and schedule. Because of this integration, it’s easy to sync the church calendar with the church website and make sure the service announcements are always up-to-date. And if the web-visitor is there to stream a sermon or download podcasts, ChMS can provide those things too, since that type of content can also draw visitors to your church. An easy way to let this guest know they haven’t been forgotten is to send an automated phone call. If you already had them fill out a simple contact information card when they visited, you can then enter them into your member database as “guest,” which will automatically place them in the queue to receive a follow-up call thanking them and inviting them to come back. Also, since they’re marked as “guest”, if they don’t come back, they won’t be lumped in with the rest of your congregation in the database. Maybe phone calls weren’t enough, or maybe that’s just not your style. There are other ways to keep up. Automated emails are one of the most common functions of ChMS, and one of the most helpful. With an email, you can link to the church’s site, provide a way for the guest to get in touch, and send customized messages to different groups, like “guests.” Automated text messages sent straight to their phones can also keep them updated on upcoming services and events. Speaking of emails, why not try linking to a new member’s class sign-up page? Many ChMS programs that provide websites also provide a way to put sign-ups on your church’s web page, so your guest can follow up on their experience immediately and start learning what your church is really about.You could also include a link to a small group sign-up page. As you probably know, joining a small group is one of the first big steps toward becoming a lasting part of the church, and it makes it that much easier if you provide sign-ups online. So there you go. Using a bunch of great ChMS features, you’ve made contact and followed up with your guests, giving them an easy path into the church community. Are you ready to start remembering every guest and welcoming more of them as permanent members of your community? Start looking for ChMS software today. 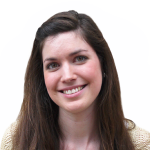 Leah Merrill is a Software Analyst for Capterra, where she specializes in helping church administrators find church management software. When she’s not helping churches and non-profit organizations find the right software on the Capterra Church Management Blog, you’ll find her reading, writing, and spending time with her family and friends. Follow Capterra for church management news on Twitter @CapterraChMS. My current church is likely too small for such a software investment. Most of our communications are email blasts, text blasts, and a chat group on WhatsApp. In fact, a using sequential follow up system based on a church management software is the main point of Nelson Searcy’s book, Fusion, one of my favorite books on church visitor assimilation. If your church uses a Church Management Software, what is the best feature you like about it. Describe the feature and how it helps you. Hard to get: What time are your services? Very Nice.. This is Awesome post.. i am impressing to Read this post. Thanks Very Good post.. Thanks for providing the tips to convert church visitors into members with the help of church management software…. In case you need a good church management software program, you can check Aplos Nonprofit Accounting as well.